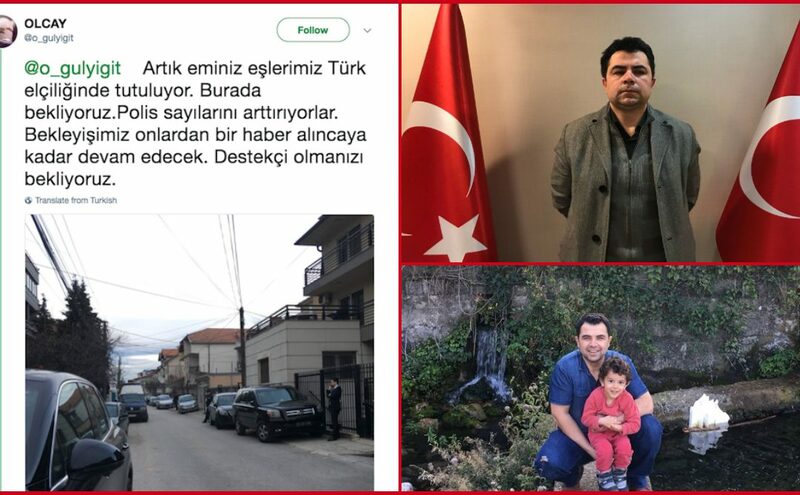 The wife of Kahraman Demirez, one of the six Gulenists abducted by Turkish intelligence agency in Kosovo, has said the abductees are still kept at Turkish embassy, calling on people for support. “We are now sure that our husbands are being kept at Turkish embassy. We are waiting here. The number of police officers is rising. Our vigil will continue unless we hear from them. We are waiting you to support us,” a Twitter account with the username, @o_gulyigit tweeted Friday afternoon.